Have you looked the the records in the devicerecords table? Perhaps your query is not right. And it could be that you need to re-add the device in the Mi Home app to get the token to reappear. anything i can check to see whats going on? or anything you need to check for a fix? Others having issues with this device as well? I don't own this device myself so I can't properly test it. There is a known issue with the miio library that can cause connection issues. Perhaps you are troubled by this as well. What you could do is run the app from the command line and see what log records come up on the console while using the app and socket. The query returns without an error. I also tried with a wrong IP, which gave an error. Will try the whole procedure again. 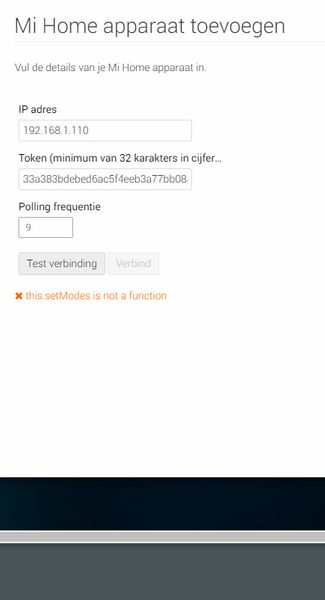 I have successfully extracted the token (did the whole procedure again, after re-installing the App on my phone and following the steps under methode 3). 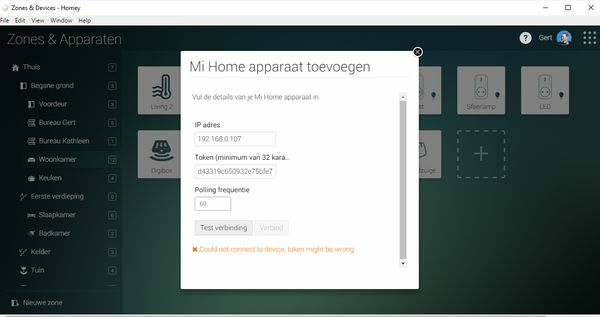 Could it be the error happens because my Homey and the Lamp are not connected to the same wifi SSID? Homey is downstairs and connected to my router's wifi. The lamp is upstairs and connected to a wifi repeater with a different SSID. The repeater is hardwired to the router, but the SSID is different. I remember now that there is an issue with this device in the miio library. The issue is 3 months old, and it is a bug in the miio library. So, I guess this just requires more patience. Stupid question: who should fix that bug in the library? Well, anyone with the right knowledge could make a pull request with the fix in the miio repository. The original author could then merge it and release a new version. He is not active anymore the last couple of months. I lack the knowledge myself to create a fork with the fix. I do know what a fork is, but feel that it is not what is I intended here. No worries. I like the light. Sure one day it will be supported. If not, than not. Been having issues with my Yeelights. what has changed with the temperature range? There was an type-o in the code causing the bulbs to change the temperature range only from 2700 - 6500 Kelvin instead of the available range of 1700 - 6500 Kelvin. I did extract the token but cannot add the yeelight desklamp to the homey. Is it possible? If so, how? OK, sorry for the pollution. Everything that is neede for the Yeelight desklamp is the Yeelight app. 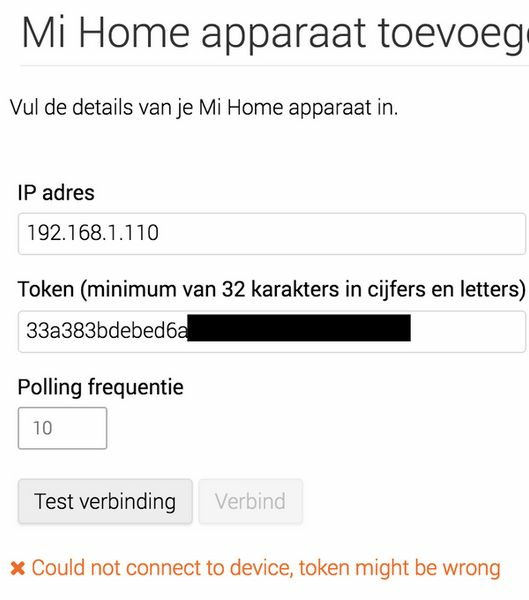 - Put the desk lamp in "LAN mode"
- Check the IP-number under "apparatus info"
- In Homey, add "Xiaomi Mi Home", "Yeelights". -> and thus not the "Eyecare"
No token or nothing is needed. Which desk lamp are you talking about? Aha, that makes sense now. My Philips Eyecare 2 is not recognized by Homey. Buy a Yeelight; the design & build is just beautiful! Do this plugin supports Yeelight LED Strip? Power Strip does not work. Through the plug-in, turn off, but do not turn on. Does not show the real status of the power strip. Do not display consumption readings. Two power strip without USB, firmware 1.2.4_58. One power strip with USB, firmware 3.4.2._79. I'll probably drop support for this device. I dont own it and it's poorly documented so there is no way for me to troubleshoot it. Athom is switching to a new forum, read the announcement here.